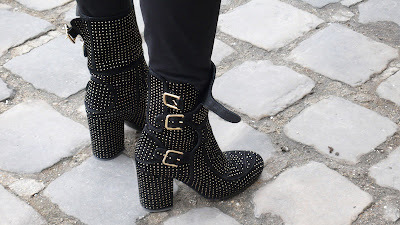 Studs, buckles, black, gold... hard to miss. Before Leonard's show. Hope you will follow me back too..